Is there any other game in history that has made as many people as happy as Mega Moolah has done over the years? This ever-green slot has been making millionaires for a long time and shows no sign of stopping anytime soon. The latest giant jackpot to be claimed by a player is a brilliant €7.7 million (£6.8 million). The progressive slot from Microgaming paid out this fortune at the end of the September, making it the company’s second biggest jackpot of the year to date. Mega Moolah has 4 different jackpots to play for and they grow all the time. The biggest of them is the Mega Jackpot, which holds the record for the biggest slots machine jackpot web a British player won £13.3 million on it in 2015. This enormous prize is triggered at random, so anyone anywhere can win it on any size of bet. David Reynolds is a games publisher at Microgaming and he called it their 5th biggest jackpot win ever. We don’t know anything about the winner yet, although the fact that the prize money was stated in Euros makes us think that it may have been a European player who scooped it. However, we remain hopeful that the lucky winner surfaces at some point to tell us what they plan to spend the money on. You will find the Mega Moolah slot on tons of sites, such as the popular BetVictor casino. 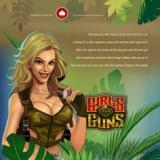 You can pick up a new player bonus and get started on a huge selection of games at this casino.